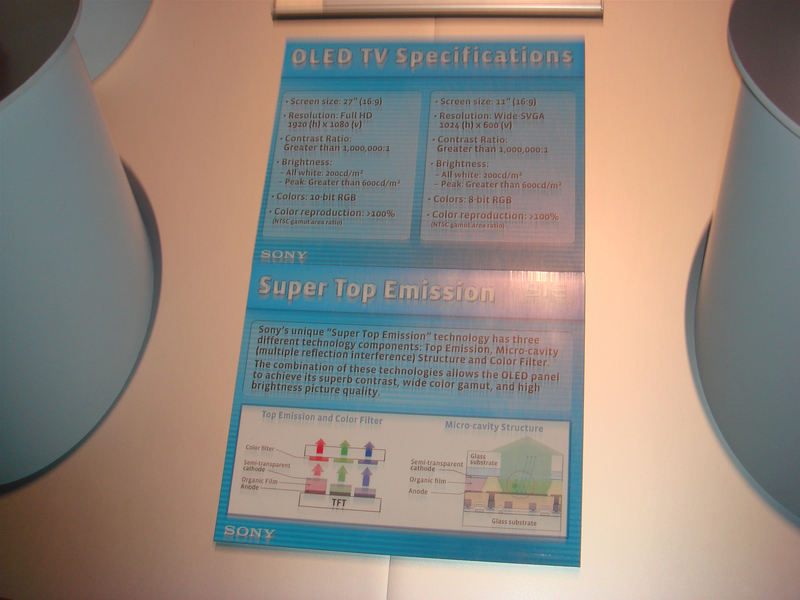 OLED screens have already seen a great deal of applications in mobile phones and mp3 player screens, and now Sony wants to bring it to larger (potentially production) screens as part of its ‘Super Top Emision’ technology. These bright screens displayed amazing picture quality in two different screen sizes, 27” and 11” and on a very thin form factor. The 11” models were 3mm thick while the larger 27” model was 7mm. 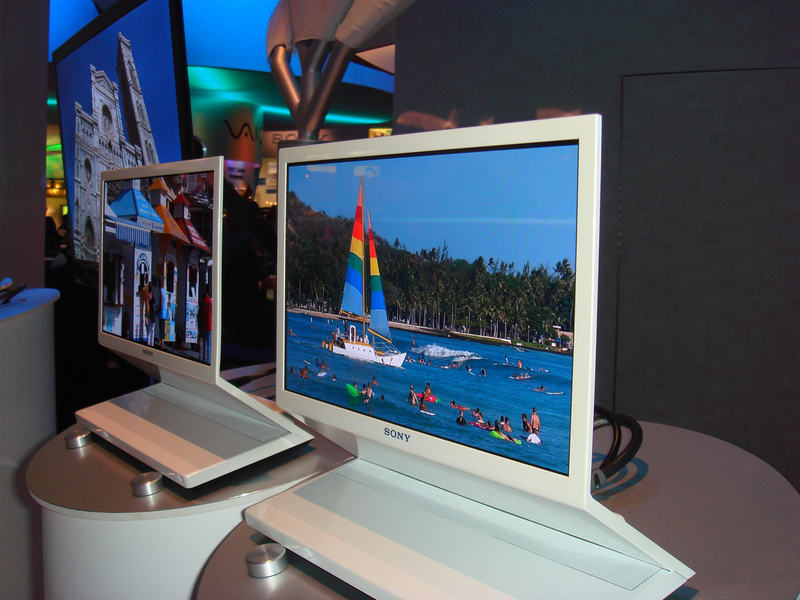 The displays showed images at 1920x1080 and 1024x600 resolutions, with a contrast ratio of 1,000,000 to 1, quite amazing. 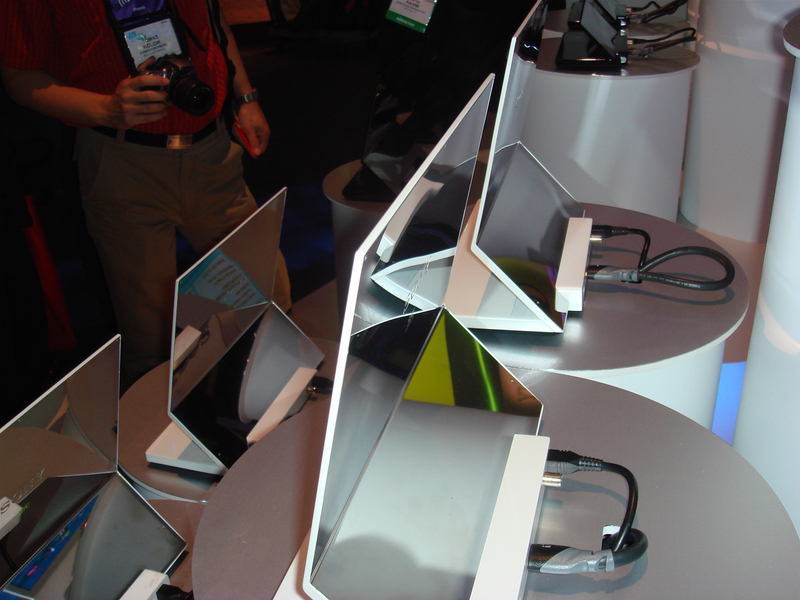 You can notice the thickness of the screens and the crisp images displayed from the pictures we took. These handmade prototypes could function as TVs, but we were told they also carried the technology to incorporate monitor capabilities later. No word on pricing or even if they will enter the production line anytime soon. 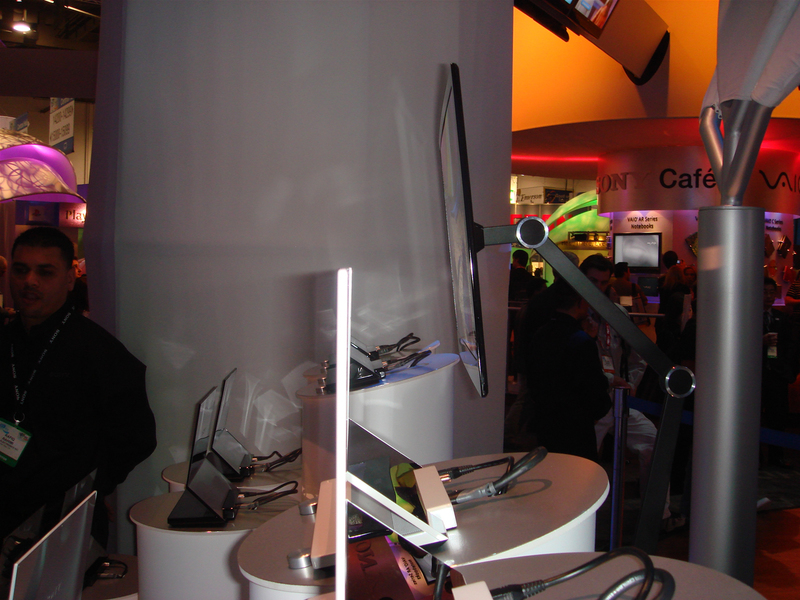 Newton Peripherals was present at CES to promote their latest version of the MoGo mouse x54. 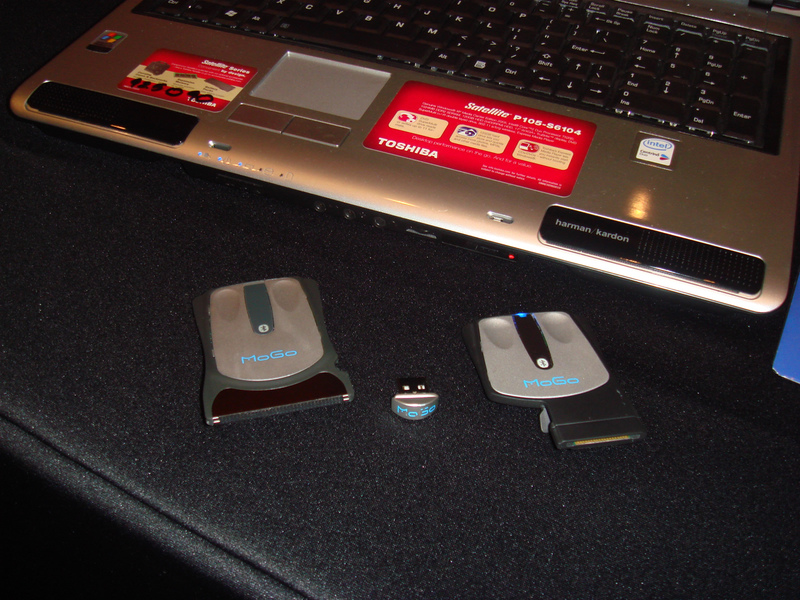 This is a unique offering as this optical mouse is thin enough to be stored and charged in the ExpressCard/54 slot most laptops have nowadays. Its optical sensor provided a smooth enough feel and the scroll pad is a great improvement. The MoGo mouse is already selling for about $70, if you are a portability freak this may be the device for you. 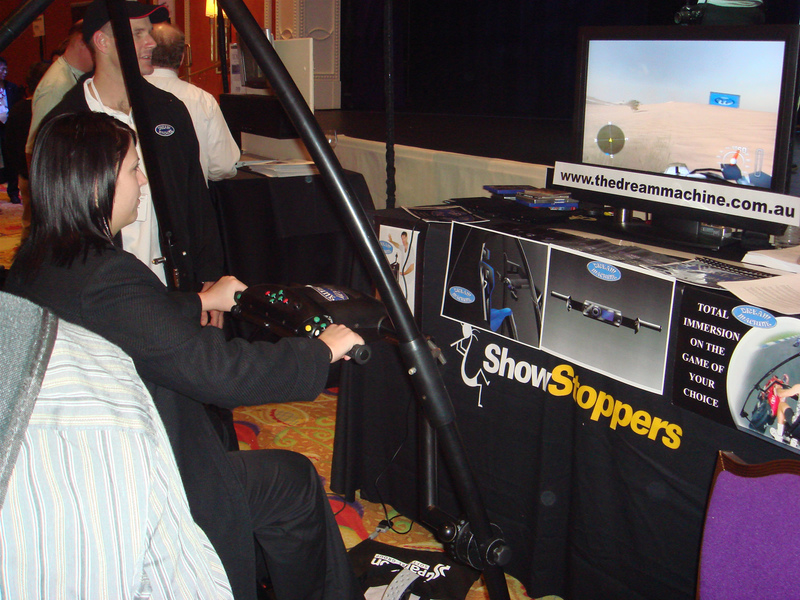 The Dream Machine full body game controller was something that stood out at ShowStoppers/CES. It is basically a chair suspended on a three point rig with a button control center that resembles a bicycle handle. While the button control is anchored, the chair sways as you shift your body weight, translating to character movement in the game. Buttons are fully customizable and vibration is in as well to add to the action. The Dream Machine would seem to get the job done for racing games especially which is what they were showing on the floor. The full body controller is not yet on the market but its creators expected to have it launched sometime during the third quarter of this year. Supposedly it will be launched for several game platforms which include the Sony PlayStation 2 and 3, Xbox 360, PC and possibly Nintendo. With an estimated launch price of $1500 we’ll have to see how gamers react to it, then again full body controllers don’t come cheap. The Australian crew that presented the controller was really excited about their product and you can find more information at their state of the art website.